We were unable to detect your location. Please enter your ZIP code below. Get started with a plan for your child today. Before heading out to any theme park, make sure you research the amusement park's policy on disabilities accommodations and make sure they have the services you need. Also, check calendars for days that have less crowds so you have a more sensory-friendly experience for your child. Ask your child about what he would like to do at the park and get him involved in the planning. Work together to create a schedule and go over what your child should expect during his visit at the park. Review rules for good behavior and what you are expecting from your child. When you switch up the schedule, it can alter your child's expectations. Having a schedule helps add structure to your child's day, and it makes it easier to manage her expectations. Always be prepared in the event your child experiences a meltdown at the park and have a plan to deal with the meltdown, such as deep breathing exercises or coaching her through the emotions. Pay attention so you can spot when she is having a problem dealing with a change, such as her getting restless when waiting in line too long. Some theme parks provide extra assistance for children with disabilities and assistance for parents, too. For example, Walt Disney World offers specially designated break areas for children with cognitive disabilities who need to some time away from the crowds. The park also offers a Rider Switch program that enables parents to switch spots to stay with your child who does not want to go on a ride while the other parent enjoys the attractions without having to wait in line. Make sure you take advantage of these services to help improve your child's time at the park. 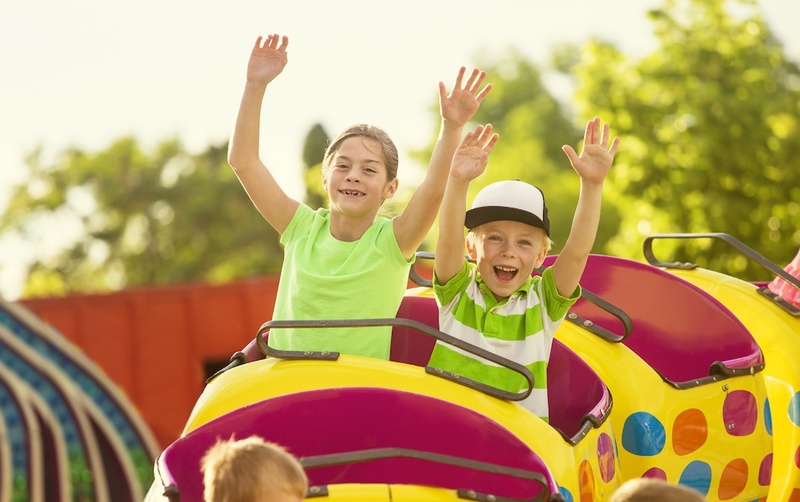 The summertime can easily drive big crowds to an amusement park, and it can get overwhelming for a child with ADHD. But with a little preparation, you can manage your child's expectations and make their experience at the theme park more enjoyable. Why Does My Child ____? ©2018 Brain Balance Achievement Centers. All rights reserved. *At-home exercises and nutrition are a vital part of our program and compliance to program protocols is essential to achieve and maintain results. Your hard work and commitment to program requirements and protocols of the program translate to greater success for your child. Our advertising features actual parent testimonials. Individual results may vary. Brain Balance Achievement Centers are independently owned and operated.